When disease, decay, or damage wreck a smile, a patient may feel embarrassed about seeking professional help. 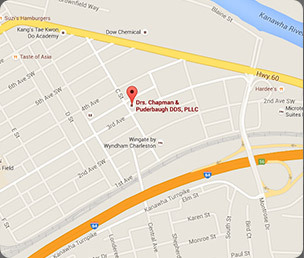 Our South Charleston dental office welcomes patients with broken-down smiles. We applaud you for taking a step toward reclaiming a strong and healthy smile for a healthier life! You'll feel better emotionally and physically when you have a comfortable, beautiful smile to share with the world. Sometimes a few crowns, fillings, or replacement teeth aren't enough to completely restore dental health. When you visit, the dentist will evaluate your teeth, gums, and soft tissues, as well as your occlusion (how your teeth fit together when you shut your mouth). We will take X-rays, intra- and extra-oral images, and possibly a Panorex image to provide us with detailed information to create your full-mouth reconstruction plan. We will also talk with you about your concerns. Do you have pain? Does dental work make you nervous? What do you want to achieve from your dental work? The dentist will address your concerns and present a plan to restore your optimal oral health. We will explain our suggestions, your options, and the time and financial commitment involved. With creative scheduling and financing, as well as options for anesthesia and sedation, you can enjoy the healthy, comfortable, beautiful smile you deserve. We may recommend fillings, crowns, inlays, or onlays to restore teeth. Crown and bridgework, partials, dentures, and dental implants offer exciting, lifelike solutions to replace missing teeth. Orthodontics, oral appliances, and other treatments may help your unique situation, as well. We sometimes work with specialists in an interdisciplinary approach to ensure that patients receive the treatment they need. Our goal is to deliver the smile you want, then help you maintain it for life. Call today to reserve your full-mouth reconstruction appointment.